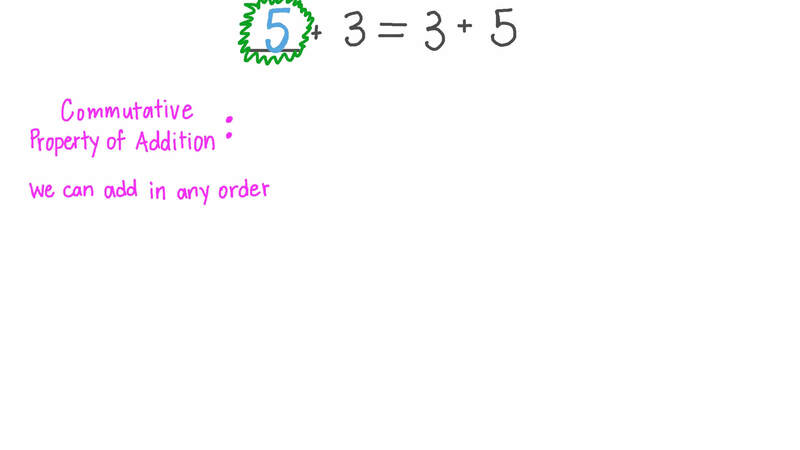 In this lesson, we will learn how to use the commutative property of addition to solve problems involving numbers up to 20. 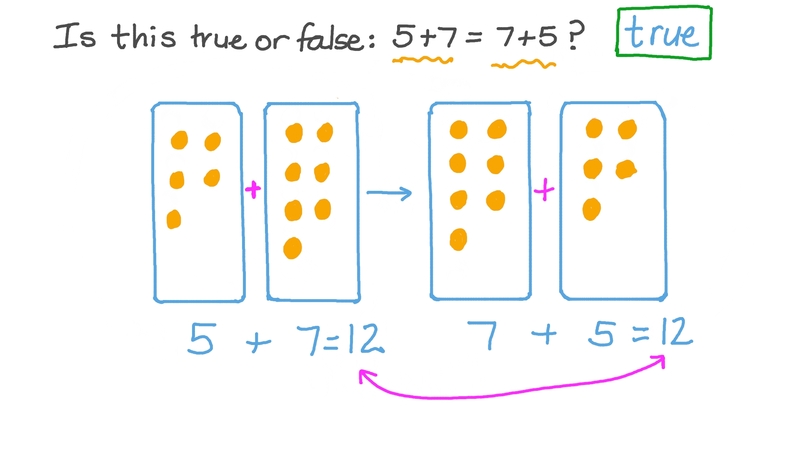 Is this true or false: 5 + 7 = 7 + 5 ? + 3 = 3 + 5 . 0 + 1 = 1 + 0 = . Complete the following: 0 + 1 0 = 1 0 + . There are 11 black cats and 6 white cats for sale. The total number of cats is 1 1 + 6 = 1 7 .